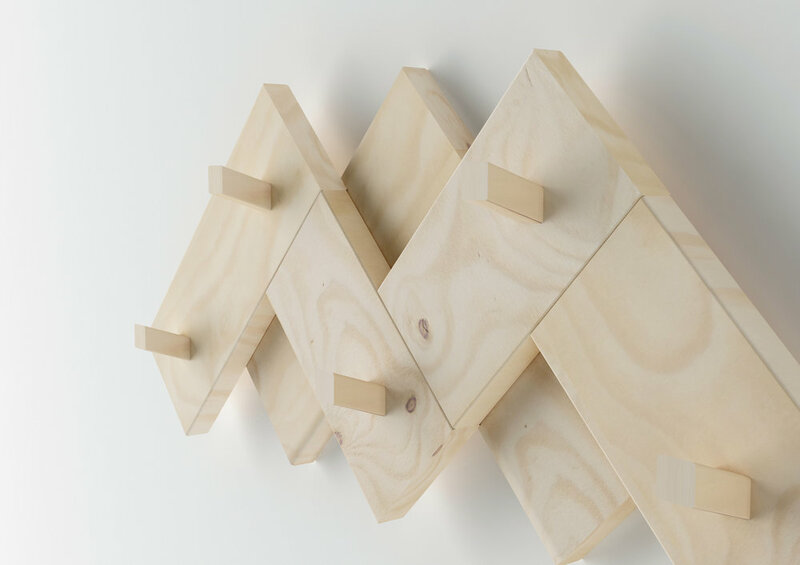 With the Cimas coat rack, I felt like going beyond the straight lines used in the latest pieces designed for LUFE. I wondered to myself, what could I do with the boards? What type of geometry pattern could I do? From there, I got the idea to create a mountain view. Cimas wants to remind you of the feeling you get when you see that view. Peace and tranquility.